Cosmetic dentistry is commonly known as the art of correcting aesthetic tooth problems to give patients a bright, white and beautiful smile. With all of the dental technological advancements in the last decade, cosmetic procedures improve aesthetics and function to correct even the most serious decay or damage. Dr. Gregory Wilcox and staff have worked on restoring patient smiles since 1974 and is has established a reputation for top notch treatment with long-lasting results. No matter how serious your tooth problems might be, Dr. Wilcox can create the best treatment plan to meet your needs. In-house whitening - Get teeth noticeably whiter in just a single treatment. We use Philips Zoom QuickPro varnish to produce striking results in as little as five minutes. 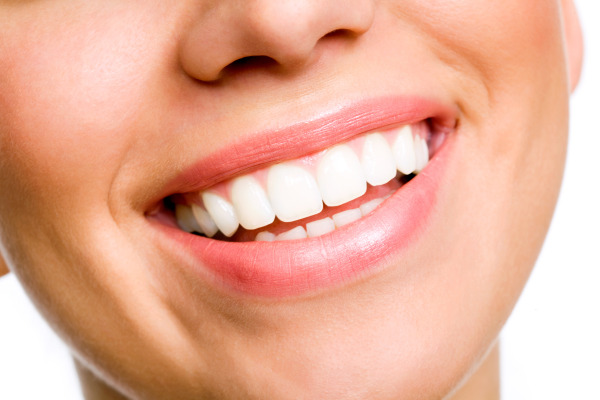 Whitening is typically done after a routine cleaning, at the patient’s request. Patients can expect results to be up to 2 or more shades lighter afterward. We also provide at-home whitening with Opalescence gel, helping patients to maintain their whiter smile. NO amalgam fillings – We use composite fillings to mimic the appearance of a natural tooth. The composite material blends in with the surrounding teeth giving the patient full function of the damaged tooth with beautiful results. No amalgam means mercury concerns are eliminated for optimum patient health. Porcelain veneers and Lumineers® - Both are great options for people who have numerous aesthetic problems, such as severe discoloration, gaps or chips. They cover the front surface of teeth and producing a dramatic change with long-term results. Crowns and bridges - These permanent restorations help severely damaged or replace missing teeth. Our crowns are made in the USA, produced in a high quality lab right here in California. Crowns and bridges give patients many years of reliable use. Full or partial denture plates – Dentures give patients full function when several or all of their teeth are missing. Implant supported dentures are an option for those who want more secure plates. Dental implant restorations - Patients wanting new restorations or have current ones fixed, Dr. Wilcox will place quality restorations atop the implant. Whether your teeth are discolored or stained, crooked or misaligned, damaged or decayed, Dr. Wilcox will create an effective cosmetic treatment plan to improve your smile. Patient concerns are addressed with procedural education and desired results are targeted when treatment plans are created. Contact our Davis office today for more information or to schedule an appointment. We look forward to improving your smile!